Some frequently asked questions. If your question's not featured, get in touch and I'll do my best to answer it. Q: Are these classes suitable for absolute beginners to knitting? A: Yes they are!!! Q: Do I have to bring any wool with me to my first class? A: Nope, I'll provide you with yarn and needles in your first class. These materials are for you to keep. Q; How many students in each class? A: Usually 4 or 5. I like to keep my classes small so that every knitter can work at their own pace. Q: How do I pay for a knitting class? A: Online bank transfer is best please, but if you don't have a UK bank account or are making a last minute booking then you can pay using any debit or credit card (with a £1.50 charge). 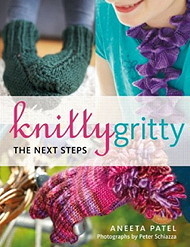 Q: How many knitting classes will I need? 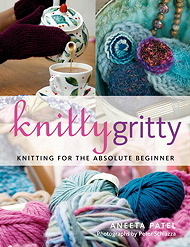 A: I've been knitting for 33 years...it's up to you how far you want to take your knitting, but I can keep teaching you for as long as you want to keep learning. I do recommend at least 3 classes for a complete beginner to get some basic skills under their belts. Q: How old will the other students be? I don't want to feel like the odd one out. A: This varies...no-one ever feels odder than anyone else and Knitting SOS! : ) All 16+ knitters are welcome to the above classes. Younger than that? Please email for kid's classes.